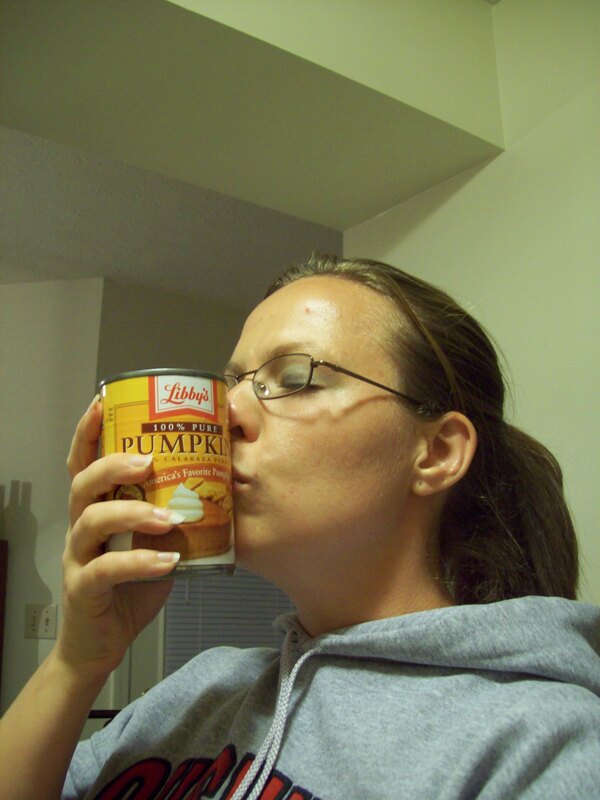 If pumpkin just totally disgusts you, then you may want to avoid this blog for…say, three months? 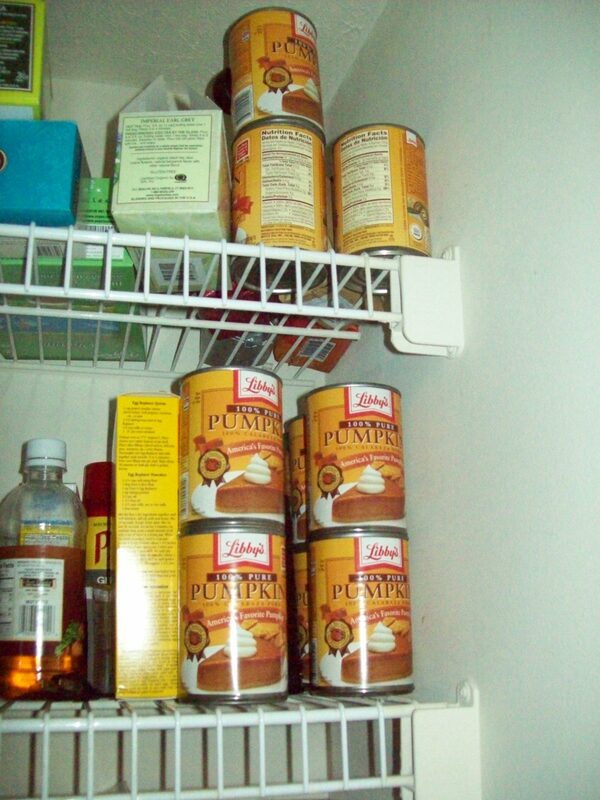 Turns out they had Libby’s canned pumpkin at the Walmart grocery store, so I stocked up, big time. After a couple bowls of pumpkin oat bran, I decided that it was time to get baking with the stuff. After all, I did buy 10 cans of it. Yes, 10. 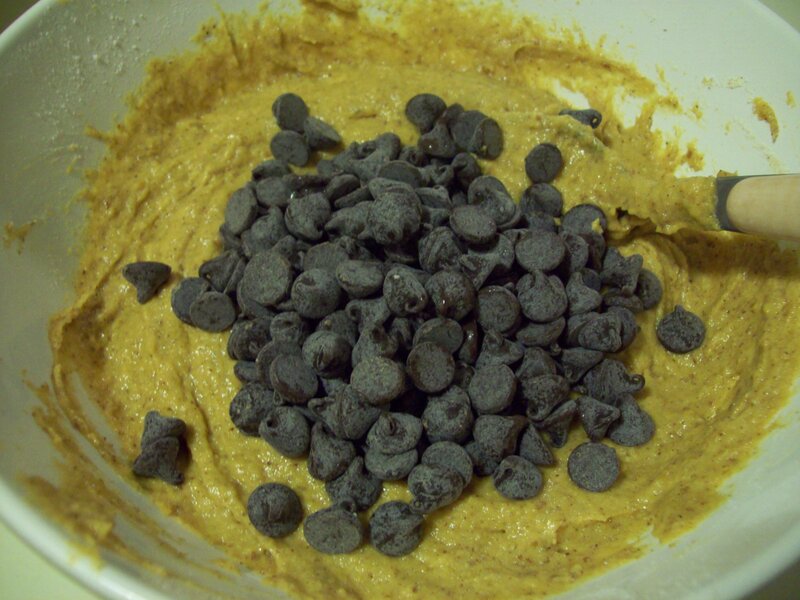 Those of you who have been reading my blog for a while have probably seen a few different takes on Pumpkin Chocolate Chip Muffins. 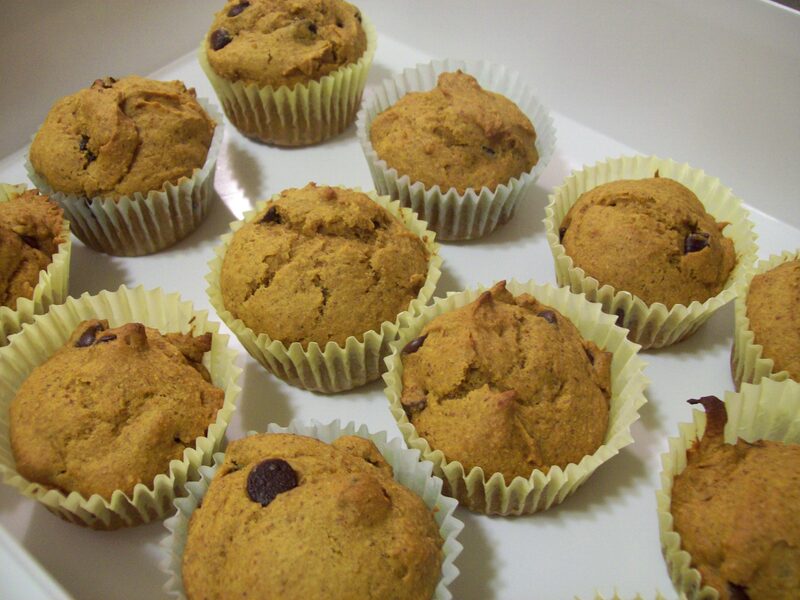 The original recipe was not vegan, as it contained eggs, but I have been tweaking it over the past year to make these muffins friendly to my diet and still very delicious! The last time I made them, they came out a little dry and stuck to the paper. I hate that! 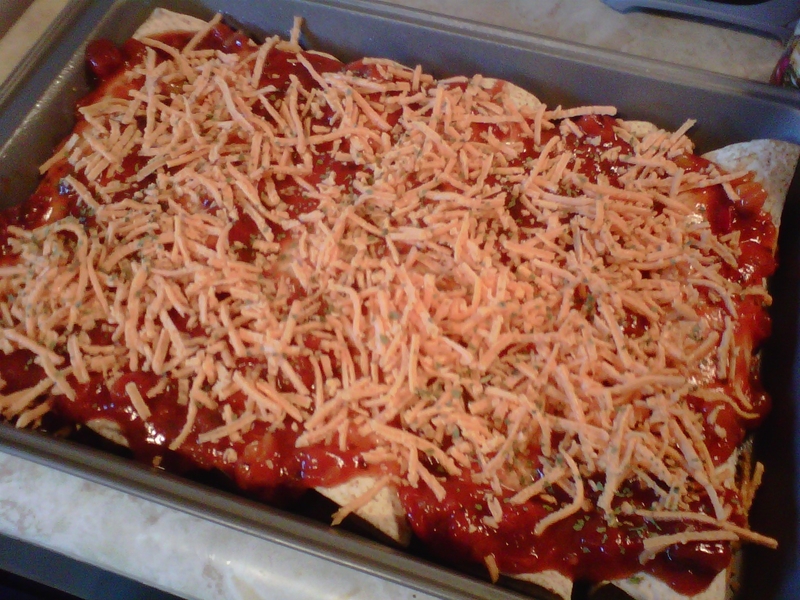 I decided to give them another go this week for Girl’s Night Potluck on Wednesday. 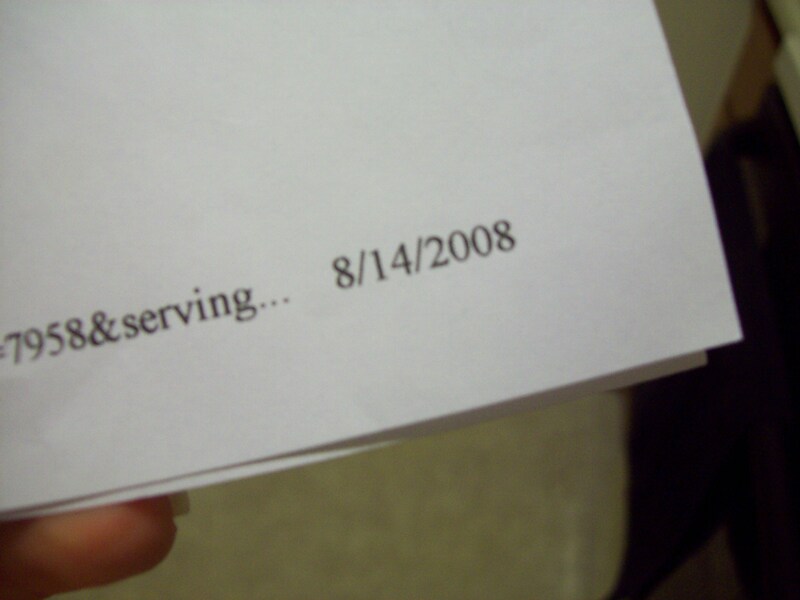 When I busted out the paper, I checked the date on it for fun. I have apparently been using this recipe since 2008! I made a few substitutions, quite a few actually, so I will share the recipe with you since it varies so much from the original (see picture and link above). Line muffin pan with foil or paper liners. Mix the flax “eggs” and let sit for a few minutes. 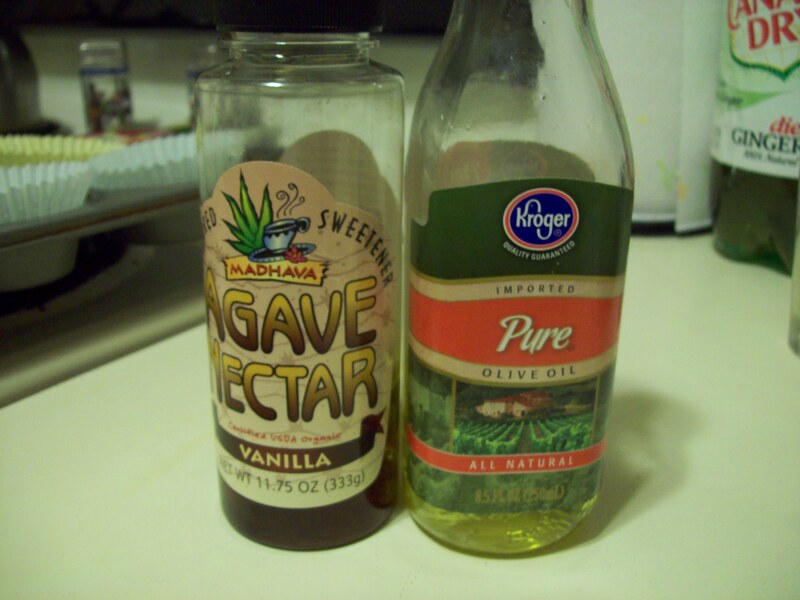 Mix the agave, flax “eggs” and oil in a medium-sized bowl. 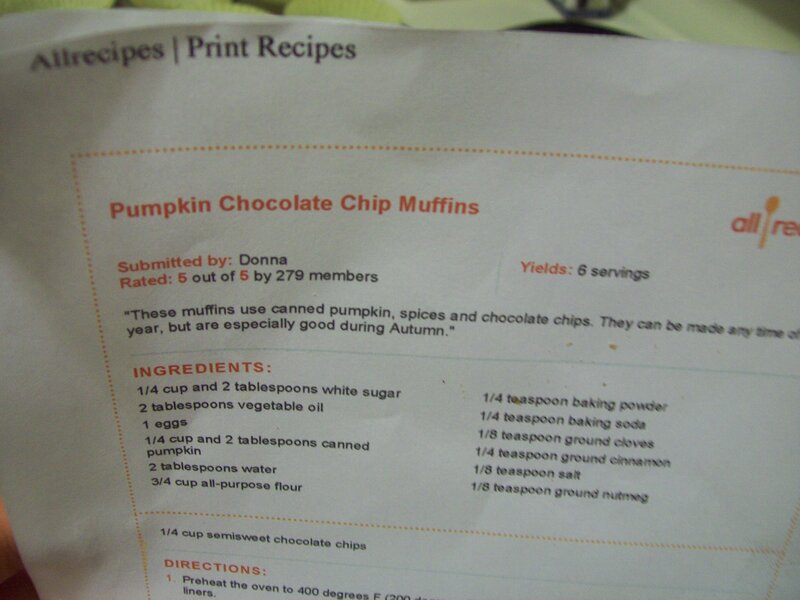 Add in pumpkin (I omitted water due to use of agave nectar). 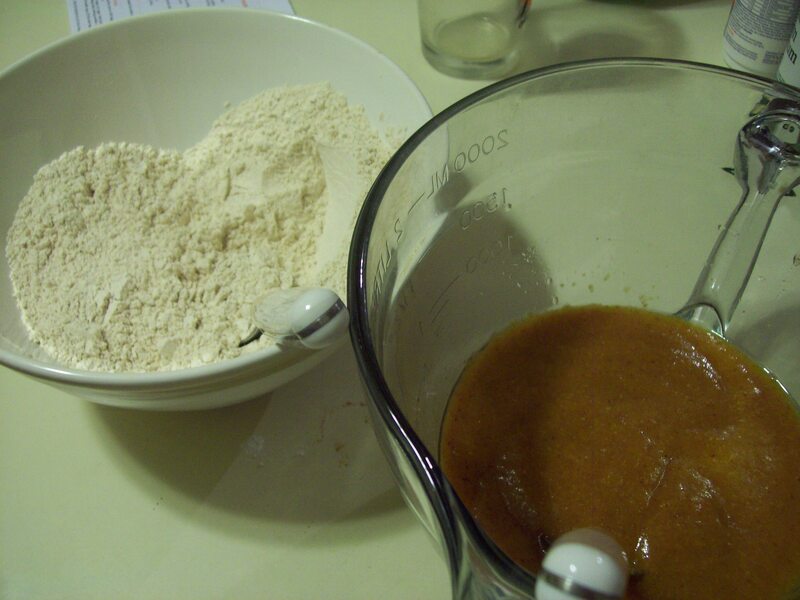 In a separate, larger bowl, mix together flour, baking powder & soda, spices and salt. Fill cups evenly and cook for 18-20 minutes (reduced cooking time for agave nectar as well). I think the last time (when they stuck to the paper) I also used the Ener-G egg replacer, which is a good product but for baked goods, flax “eggs” work so much better. That’s just my opinion! This is actually quite an easy recipe to follow and it made my kitchen smell really good! I am definitely sticking with this version of the recipe for a while. 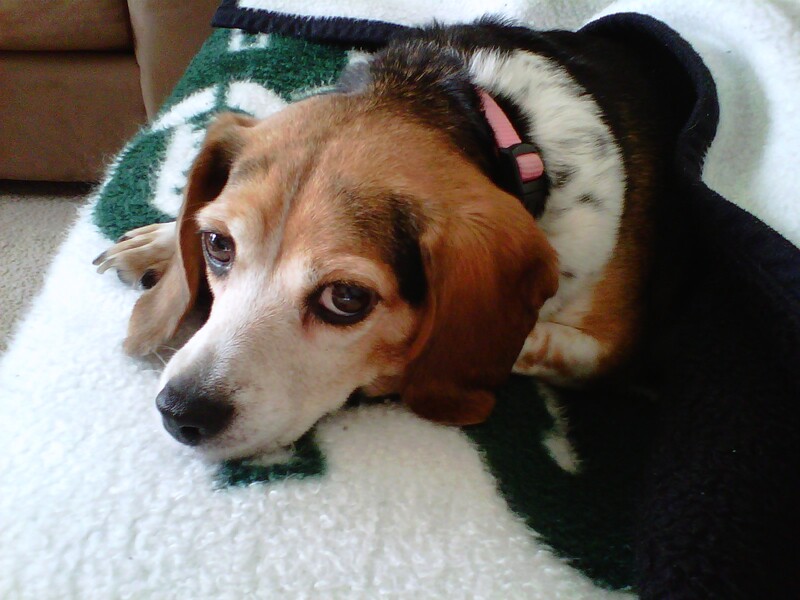 May have to print out this blog post and replace that old paper from 2008!